Hi friends, how was your week? We are super busy these days, but in the very best ways! 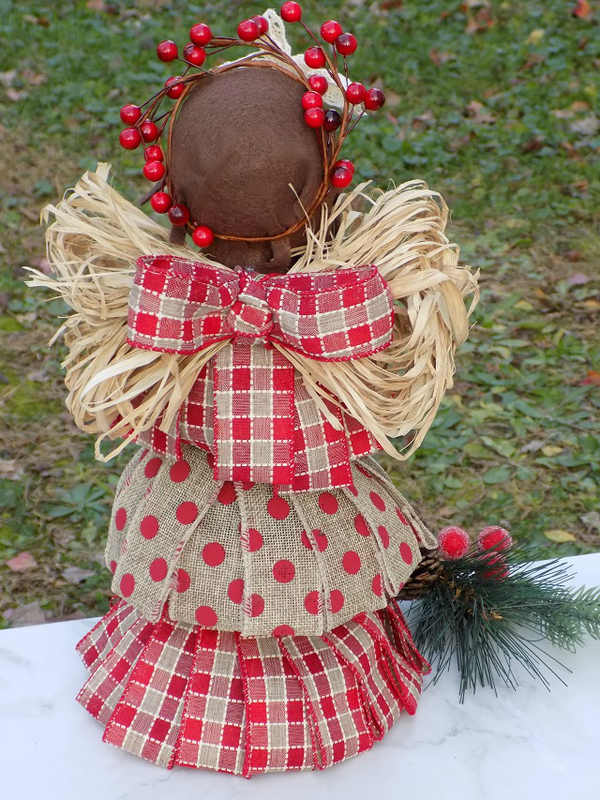 These DIY Dollar Tree Funnel Set Angels, were our project of the day, yesterday. By stacking the funnels, and using them as a form/ base, it gives the illusion that the Angel is wearing a 3-tiered dress. My oldest daughter helped me assemble several of these, in about an hour and a half. I prepped everything by cutting down all of the ribbon into 5" strips, bundled the raffia to create Angel wings, and cut down all of the felt to create the face/hair. Then she helped me assemble them, using low temp hot glue. I was originally planning on leaving the faces without features - but my daughter had the idea of stitching on closed eyes / a mouth on each Angel, before gluing the felt down. I absolutely LOVE how they turned out, and I'm so glad that she suggested this super simple add-on. If you made our Dollar Tree Funnel Set Christmas Trees last year, these are just as easy to assemble! 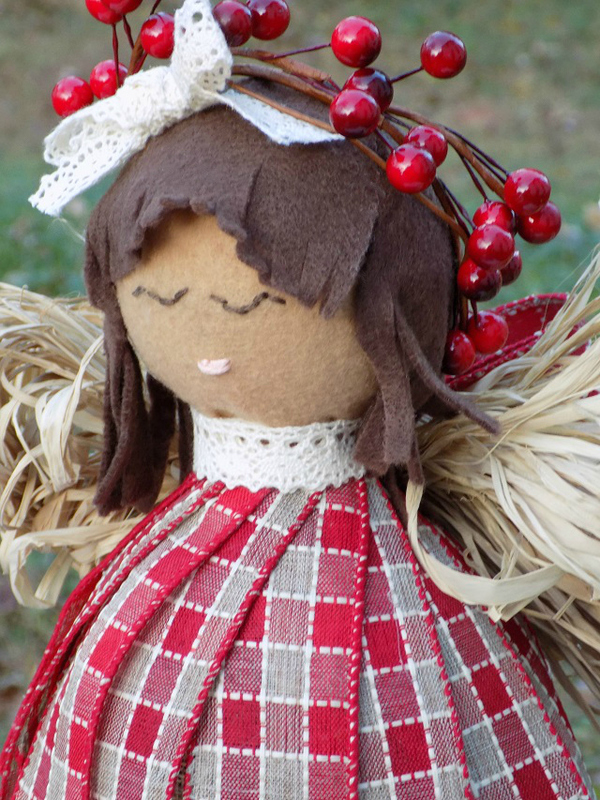 These make great handmade holiday décor and they'd also make a great gift! 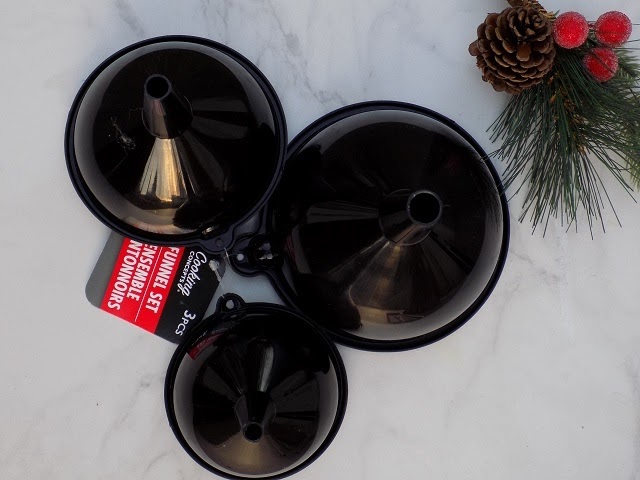 Read on for the simple supply list and our easy tutorial to make your own DIY Dollar Tree Funnel Set Angels, this holiday season! Optional: embroidery floss in dark brown and light pink colors, and a sewing needle to stitch eyes and mouth / facial features onto the felt/face, prior to gluing. If adding height to your Angel, with the optional circular foam pieces, start with the largest funnel in the set, and press the foam down over the funnel spout (refer to imagery below). Repeat this step, with a second piece of circular foam on the medium sized funnel in the set. Last, press the foam ball (from the center) down onto the spout of the smallest funnel in the set. 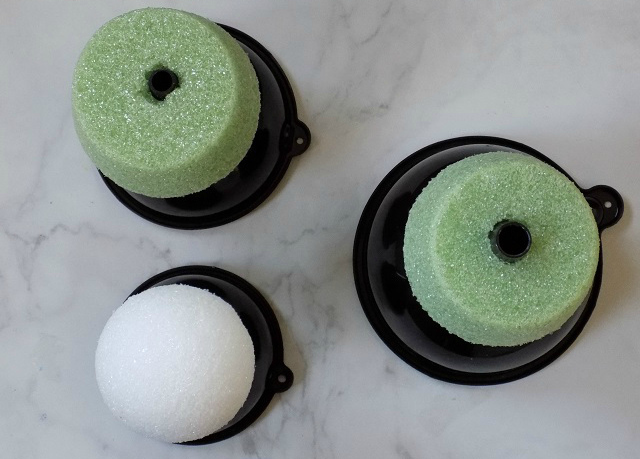 If you aren't using optional foam pieces for height, simply do this step with the smallest funnel and the foam ball. Now, slide all of the foam pieces off. Starting with the largest funnel, add a few generous dabs of low-temp hot glue to the center hole that you created with the spout. Quickly press the foam back in-place (hold in-place for about a minute until the glue has dried/set.). Repeat this step with the medium sized funnel, and the smallest funnel / foam ball. If you aren't using the optional foam pieces for height, simply do this step with the smallest funnel and the foam ball. Once complete, it's time to stack and glue your funnel pieces together (refer to imagery below.) Using low-temp hot glue, add several generous dabs of hot glue around the optional foam piece on the largest funnel/base (or on the top outside portion of the largest funnel if you've opted not to use the optional foam for height.) Quickly press the medium sized funnel down on top of the hot glue. Press/hold in-place for about a minute until the glue has set/dried. Repeat this step with the small funnel. Cut ribbon into 5" strips about 25 for the large funnel / the base, about 20 5" strips for the middle and about 18 5" strips for the top (we alternated patterns / colors for the base, middle and top. Next, fold the end of each of the ribbon strips (about 1/2")add a dab of hot glue to the fold to create a finished edge / hem for each ribbon piece. Repeat this step with every ribbon strip. Once complete, it's time to glue each ribbon strip onto the funnels. 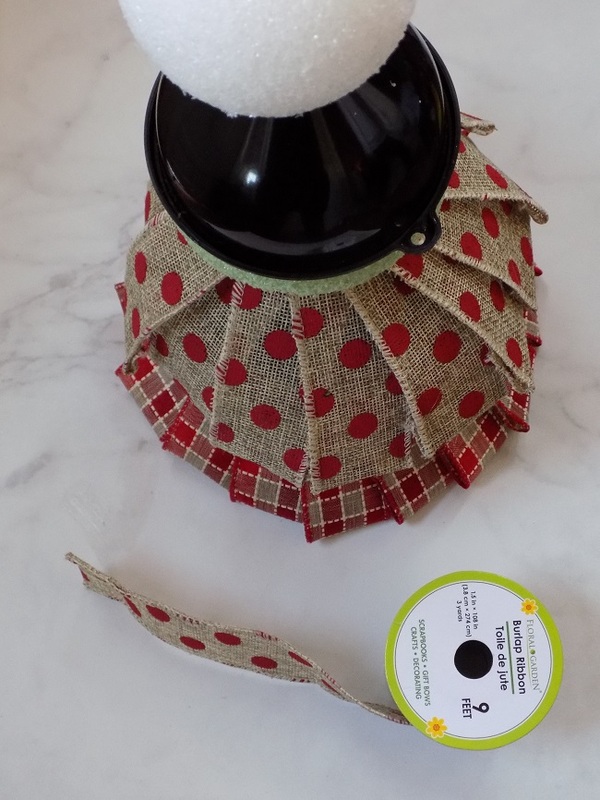 Starting with the bottom / large funnel, and a dab of hot glue to the top of the ribbon strip (pre-glued / "hem" side down.) Repeat this step until you've covered the entire base / large funnel. Repeat this step using an alternate pattern / color (or the same color / pattern if you choose.) with the medium funnel, and the small funnel. Cut a large circular piece of taupe felt, for your Angel's face. 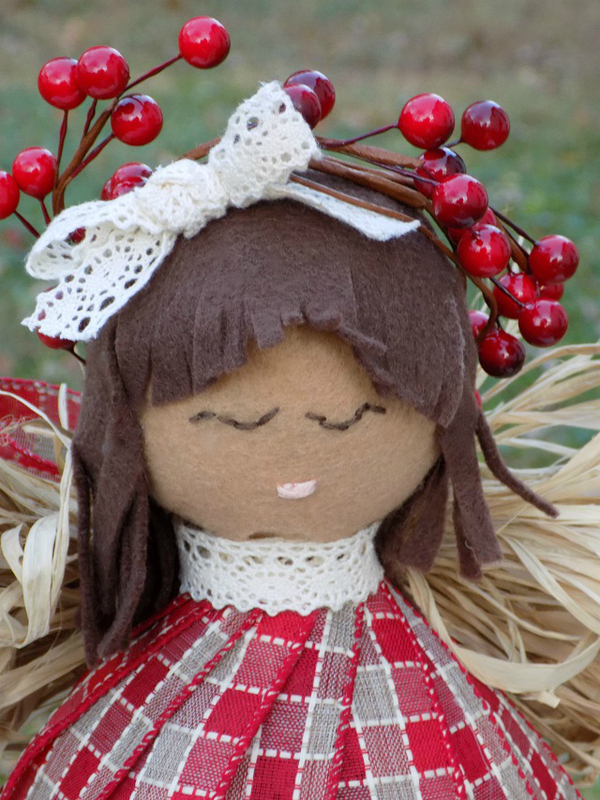 Optional: Use embroidery floss, a needle and straight stitch to create the features on your Angel's face. Use a few dabs of hot glue to affix the felt onto the Styrofoam ball, front/center. Cut a large semi circular piece of brown felt, for your Angel's hair (or from a color of your choice). 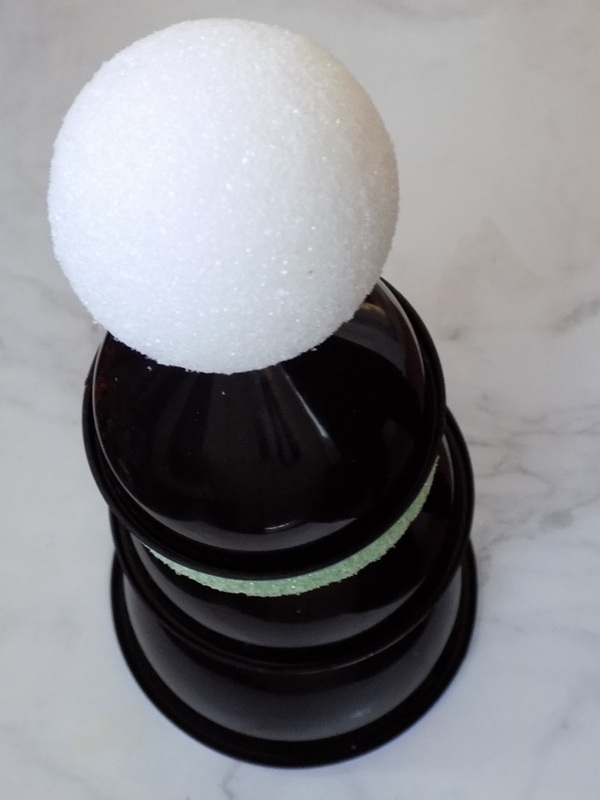 Use a few dabs of hot glue to affix the felt onto the top/sides and back of your Styrofoam ball. Using scissors, create a few cuts to create bangs/hair strands all around the felt sides/back. 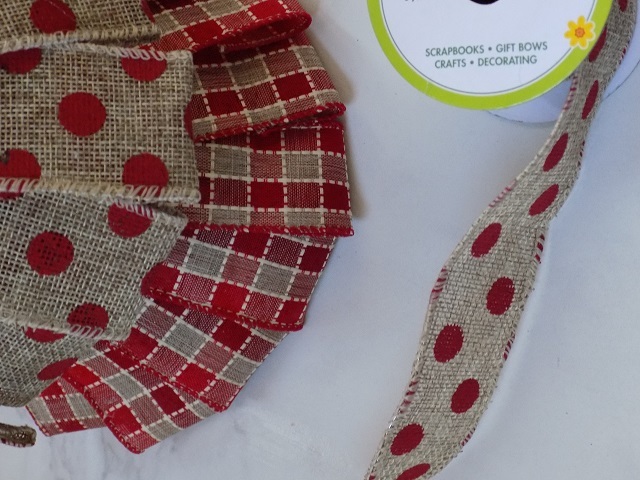 Add a small lace bow to the top front of the felt hair, using a large dab of low-temp hot glue. Open / unroll one small bundle of raffia from a 3 pack of raffia, found at Dollar Tree. Bundle it at the center. Tie off with ribbon, in a large bow at the center. Use a few large generous dabs of low-temp hot glue to the center of the bundle of raffia / Angel's wings press to the top center back of the smallest funnel. Hold in place for 1-2 minutes until you are certain that the glue has dried / set. Enjoy your completed DIY Dollar Tree Funnel Set Angel, or gift it to someone special this holiday season! Happy crafting and Happy Holidays, friends! what a sweet and easy DIY! I love angels. These are adorable. Unfortunately this year I did not get a chance to make any holiday crafts like I usually do. Hopefully next year I will have the time to make these. I would love to gift these to family and friends. 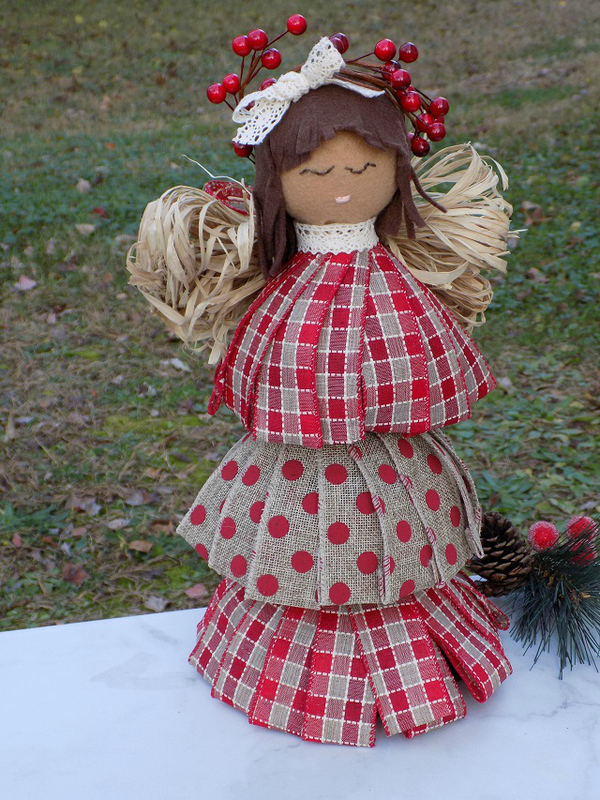 I love this it is so sweet I actually want to make this one thanks for sharing I also love the Dollar Tree store. These are super cute! Another great, cheap craft idea. Oh these are so adorable. Grandpa loves angels...we have been thinking about what we could make with the kids, these would be perfect! I really like this one. I love that slightly rustic look in Christmas decorations. I love these; I would call them dolls although I guess they were intended to be seen as angels. I would like to display these throughout the year maybe changing the clothes to reflect the seasons. I am glad this project is "do-able" and not expensive; I am in the dollar stores all the time. What a neat idea. This turned out really cute. These angels are adorable, and you'd never guess their humble beginnings!